Will these fit the Perrin sway bars I have on my 04 sti? A: Hi Boostin, If your Perrin bar is a 22mm bar, and the Perrin bar re-used the OE sway bar saddle, then yes these should fit with that bar. We do not do any testing with other brands parts, so I'm unable to confirm it with 100% certainty though. Will these fit the Whiteline 22mm front sway bars for a 08 sti? 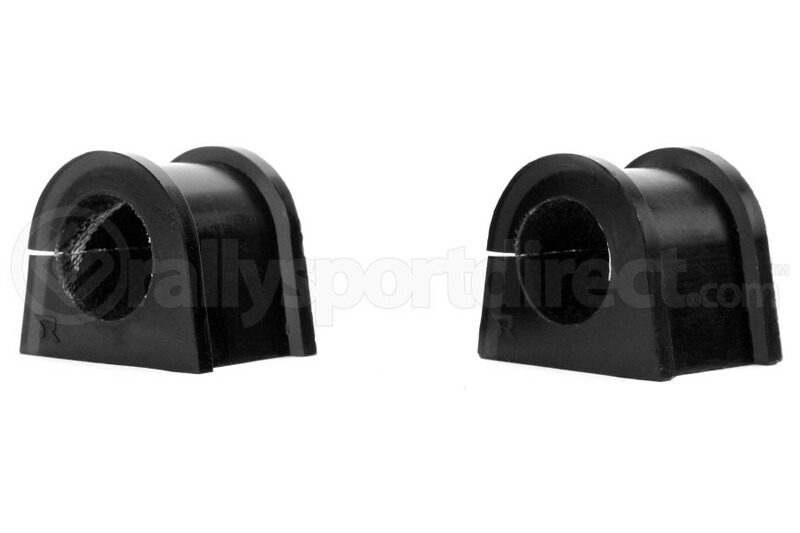 i cant seem to find 22mm replacement bushings. A: Hey DevanTheDude, Assuming that the 22mm front bar you have on your 2008 STI is BSF39Z, then yes this service kit (W0406-22G) would be the correct part number for the replacement bushings. Will these fit on my stock front sway bar on my 05 lgt? I couldn't figure out the exact measurement, it's a 2005 legacy gt limited 2.5l turbo. A: These are not designed for OEM replacements but if the bar uses the correct diameter it may work. We recommend measuring your OEM bar.